When he skated in his first NHL game in 1998, Michal Handzus never anticipated he’d be in-line for a major milestone 16 years later. On Wednesday night, the 37-year-old veteran, in his second turn with the Chicago Blackhawks, played in his 1,000th regular season NHL contest, a home game against St. Louis, the team that drafted him 101st overall in 1995. Handzus and the Blackhawks skated away with a solid 4-0 victory. Handzus experienced the pinnacle of such team success last season, when the Blackhawks bested the Boston Bruins in six games to deliver the Original Six club its fifth championship. Handzus also hasn’t forgotten a former teammate, linemate and fellow Slovakian, a player that helped him immeasurably in his early NHL days in St. Louis. “What he did for me, I could never thank him enough,” said Handzus, of his close friend, Pavol Demitra. “I wouldn’t be where I am now without him. He was a great person. He had a big heart. It comes as no surprise that aside from the ceremony to recognize his achievement, Handzus’ main focus was helping the Blackhawks secure an importatnt two points on Wednesday evening. 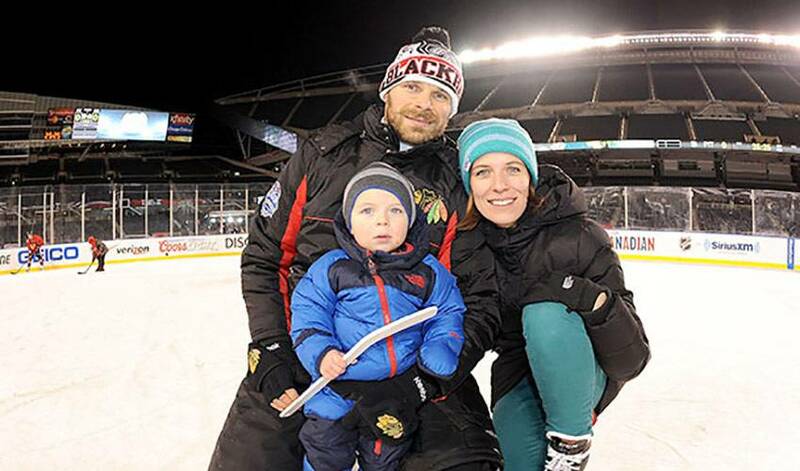 Handzus, who won gold for his country at the World Championships in 2002, will make it two straight years a Slovak will be feted by the Blackhawks for playing 1,000 games. In March of 2013, Marian Hossa reached the mark. With his decorated career, his continued contribution to one of the top teams in the NHL and his loving and supportive family by side his, Handzus is aware that he is a very fortunate man, something he acknowledged prior to hitting the ice on Wednesday.